Investor day presentations were awesome, thanks to your guidance. The best event we’ve ever had. We’ve worked with other media and presentation consultants before, but none has provided us with such powerful, practical feedback and memorable principles. You have a rare ability to blend professional experience with an understanding, respect, and belief in letting one's personal style come through. My content and delivery has improved dramatically thanks to you. Your work with senior managers at Dow Chemical’s biggest global project, quickly and effectively transformed the group from good presenters of information into effective motivators and leaders. I just wanted to express my absolute appreciation to you as I gave the best talk I have ever given using your techniques. The audience was rapt with attention. Karen Friedman and her team of skilled coaches truly hit a home-run during a two day communication training for our sales team. What set them apart was the pre-work and customization ensuring the session was pertinent to our business. 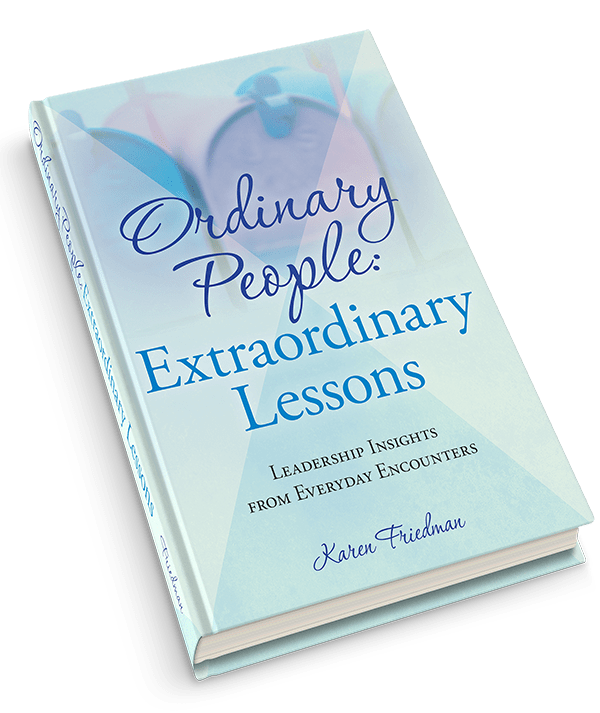 Karen completely transformed how I interact with people professionally and personally. Whether presenting in a formal sales setting or having a conversation, I will use the skills she taught me for the rest of my life. I don't even know how to thank her. How often do you struggle to craft presentations that will engage listeners? You know what you want to say, but can’t figure out how to say it in a way that will resonate with important audiences. Your subject is too complicated to explain clearly and concisely. You’re stressed. Your slides are too detailed. You need more time. 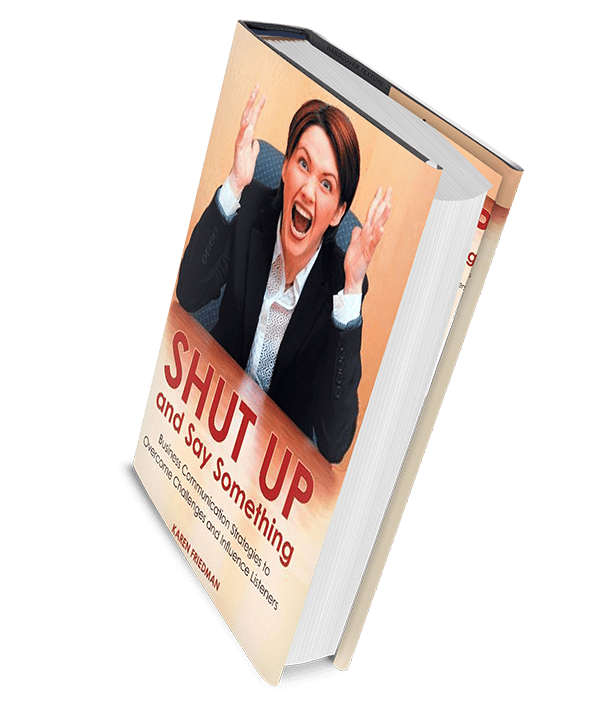 Our presentation and speaker training programs take the stress out of speaking. Whether pitching new business, speaking to colleagues, delivering a financial information or speaking at a charged community hearing, you will learn to control nerves, organize content, use slides more effectively and speak with conviction to better connect with listeners and influence outcomes. From opens to closes, you will learn how to tailor your message to your audience so they truly care about what you have to say. You taught our speakers such practical techniques they could implement instantly, even those who thought they knew it all. We all walked away better presenters than before working with you. Geared for speakers of all levels, we offer small and large group sessions as well as private coaching to give you multiple opportunities to practice and receive on the spot feedback to help you immediately improve.